Welcome to the LC/MS On-Line Training blog. Here we will post articles with key relevance to our LC/MS community. We are thrilled to share with you important developments, perspectives and resource links around LC/MS topics. We’re off to an exciting start with the upcoming Crystal City Workshop. I’m Steve Lowes and I will be in attendance at the workshop and reporting on developments for LC/MS On-Line Training. Here is what we can look forward to. The use of biomarkers in development and approval of new therapeutics continues to grow in importance. The bioanalytical methods used to measure biomarker levels have gained increased regulatory interest. The US Food and Drug Administration (FDA) is leading these initiatives to develop guidance language around both small molecules and biomolecule biomarker analytes. 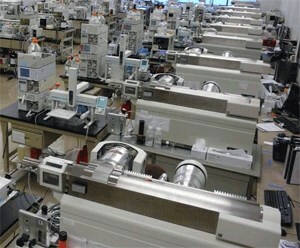 At the 2013 Crystal City V workshop, the FDA and the American Society for Pharmaceutical Scientists (AAPS) brought the discussion to bioanalytical scientists and established a foundation to build upon. The discussion and debate between industry and the regulators specific to the bioanalysis of biomarkers now continues with the Crystal City VI workshop. On 28 and 29th September 2015, I will attend the Crystal City VI workshop on bioanalytical methods validation of biomarkers. With a particular emphasis on LC/MS assays, I will be reporting on the discussion and the outcomes of the event. Live during the workshop I will be tweeting highlights to LC/MS On-Line Training twitter account using hashtag #CC6LCMS and posting daily to the LC/MS On-Line Training Facebook page. Watch out also for a blog post on the proceedings that will follow the workshop here at LC/MS-online-training.com. To stay current with developments around the Crystal City VI bioanalytical workshop, sign up now for free membership to LC/MS On-Line Training. I look forward to sharing what we learn from the next installment of the pivotal Crystal City workshops.